So let's take a look at some sequels that I after this writing, I will go back to pretending that they didn't happen. They can rejoin all my other repressed memories. They're having a party and want these memories to bring Jenga. 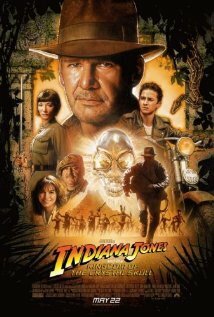 This, I think, is the movie that taught me that sequels aren't as good as the original. I was expecting the movie to open up with the boys on a case chasing a ghost. Instead, they are dancing at a Birthday party because they aren't Ghostbusters anymore. That was the point I knew I'd never love this movie. It caused me pain. Yes, they eventually got the band back together, but I liked that movie better when it was called Blues Brothers. In the first movie we got Gozer. This film gave us a guy in a painting and dancing slime. Fortunately for me, I had a Ghostbusters fallback - The Real Ghostbusters, the cartoon based on the show. 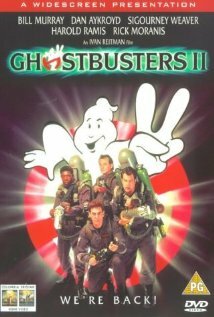 It was pretty good (for a kid in the 80's) and it gave me all the ghost busting adventures I could want. Until they gave Slimer his own spin-off, and then it kind of spiraled into badness, but that's a whole different thing I pretend doesn't exist. 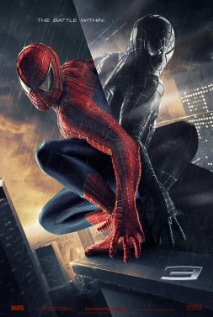 There was so much that could have gone right with this film, but this is when Sam Raimi ran out of his magic Spider Dust. Not even the awesome Bruce Campbell could save this one, and it suffered from the same issues that the Batman franchise found itself with in the 90's. Too many characters. Plus, emo-Parker was not enjoyable one bit. It's not like the symbiote storyline hasn't been tackled in other shows. In fact, I've seen it addressed in two separate Spiderman cartoons, both of them superior to this film. There's a particular sequence in mind that most everyone remembers all to well because we all pulled facial muscles cringing. Instead of watching Spiderman battle his worst nemesis, he does a niftly little tap number to annoy Mary Jane. Really? That's how you spent over 100 million dollars? What especially galls me was that this was the film Singer was teasing us with all through X2, and then he jumped ship to make a Superman film, thus ruining two franchises that year. (And yes, Cyclops' death was because he played a pointless character in Superman Returns.) I understand wanting to direct Superman, but could he have at least gotten the script right first? Instead, we got a solid mess that provided so little payoff to the awesome buildup of the first two movies that it just wasn't worth it. Characters were killed or "cured" left and right, so much so that we just didn't care. The action scenes were uninspired, and the less said about their version of the Phoenix saga, the better. This movie began with such promise. Gone are the Nazis, because now we've got the Reds. However, what could have been an epic return to form was undone by one thing: aliens. I don't include Star Trek V because that's bad at an awesome scale, and besides, the jokes are worth it. However, if Star Trek 9 and 10 are excised from the canon and we lose nothing. Not to mention, Star Trek 10 is the first even-numbered Trek film that wasn't good, ruining the franchises proud tradition of good even-numbered films. (Another reason we need V - it follows the rules.) Of course, there is the theory that Galaxy Quest was the tenth, thus Nemesis was actually 11th, making JJ Abrams' Star Trek number 12, explaining why it was so good. Great, now I've made myself afraid for that sequel, but let's worry about the two we already are trying to forget. 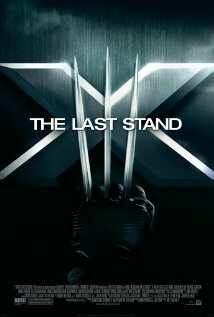 The problem with these movies is that they didn't feel like movies, but rather extended episodes of Next Generation with a bigger budget. And not the good episodes either. Insurrection was titled with the promise of the crew of the Enterprise going rogue, them versus Starfleet. Instead, they were in a tiny corner of space, making jokes about Data being a flotation device. They were only fighting against one lone, corrupt Admiral in a very forgettable movie. 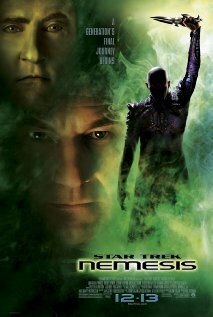 This movie so desperately wanted to be Wrath of Khan, but instead we had an uninteresting villain who made no sense, a major character death rendered moot, and one of the least touching memorial services ever seen on Star Trek. While Wrath of Khan was amazing and moving, this one was boring. Thank God for J.J. Abrams. Say what you will about his lens flares, the first ten minutes of the new Star Trek was better than these two movies combined. 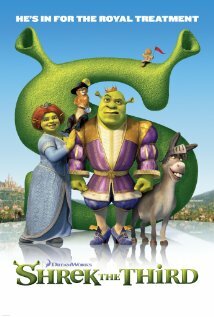 I still love the first Shrek, and consider it a high point in a rather dismal 2001 summer movie season. It's story is so good, they put it on Broadway to great success. The sequel is also good, and in some ways even exceeds the first. Then they gave us Shrek 3, and it was just awful. Rather than explore fairy tale archetypes, they would just let Justin Timberlake talk. Now, if he was playing the same kind of characters that he plays on SNL, then it would be a great movie. No such luck. It's boring, the climax is insipid, and overall it is a wasted opportunity. Shrek 4 tries to recapture the magic with an alternate universe, but in the end it's just tepid, forgettable, and it doesn't earn the happy ending. I did appreciate finally seeing some other Ogres, but we should have met them in the third movie. I get that they were addressing the issue of being in a midlife crisis, realizing that the domestic life you live is not always as fun as your wild single days. But in the execution they not only ruined Shrek as our favorite anti-hero, they made all the other characters annoying as well. Again, it was a massive wasted opportunity. I would just consider these films mediocre if it weren't for the first two far superior efforts, and as far as I'm concerned, that's where it ends. I didn't see it, but I did read the book, and here's all you need to know about the book. In the Silence of the Lambs and Hannibal books, it's a big deal that Hannibal Lector has six fingers on one hand. (Insert Princess Bride joke here.) His birth defect becomes a crucial plot point in tracking him down. Hannibal Rising is the prequel, and not once is it ever mentioned that Lector has six fingers. We see him as a child and then young adult, and not one character ever points out "hey, why is it your fingers go to 11?" That's a pretty important plot point to leave out of the books, and it was the final straw in this once great thriller series. We also don't get what the title seems to promise. 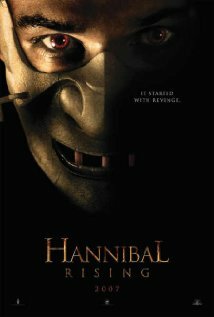 I was hoping to get a look at 'Hannibal the Cannibal,' the man who does many naughty deeds until he's captured and thrown into an insane asylum to later taunt Jodie Foster. That's the story I want to see, but it's nowhere in the book. Instead, we get Annakin Skywalker from Episodes I and II, first as a kid then troubled teen. But we don't get to see Darth Vader, and for a prequel about one of the best cinema villains of all time, that's just a shame. If you've never read the books, the original trilogy is well worth it, but I can't recommend the prequel, as I suspect Thomas Harris wrote it because he owed people money (but I could be wrong on that.) The movie, from what I hear, is just as bad and you aren't missing anything by leaving at the bottom of that bargain bin and just watching Lambs again. Feel like I left a few out? Check out my followup article. I can do more than talk pop culture. Check out my book Guardians of Suncast Dale, a satirical fantasy adventure on Kindle. Please add Highlander 2 to this list. They retroactively redefined the entire universe, so that the Highlanders were actually aliens from the planet Zeist who killed eachother on Earth for a shot at a trip back home. It's like when Star Wars replaced the mystical Force with tiny blood parasites. At least the Star Wars sequels had a decent budget. Highlander 2 sported even lower production values than the original, to the point of being unwatchable.